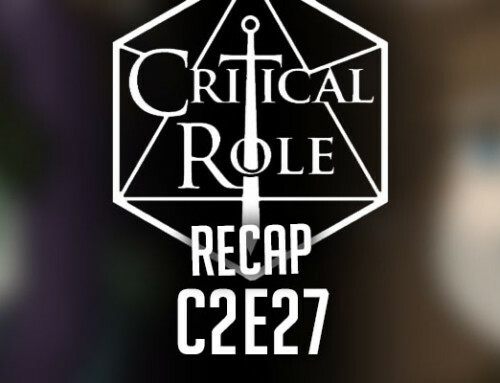 SPOILERS for Critical Role Episode 67 (obviously). 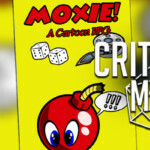 Go check out the full episode at GeekandSundry.com! My recap of Episode 66 can be found here. After discovering the handywork of Percy’s nemesis, Anna Ripley, Vox Machina plots their pursuit. The party had an audience with the emperor of Ank’harel, the mysterious J’mon Sa Ord. After proving their capabilities to the leader, J’mon pledged their allegiance to the party and revealed themself to be a massive Brass Dragon. He gifts them an amulet that will prove his support of their actions. 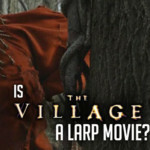 They party investigates the home of Mistress Asharu, the Scar Bearer mercenary said to possess the next Vestige, a magical cloak called Cabal’s Ruin. They discover her body riddled with bullet holes. The cloak missing. The party stands in the secret basement hide-out of Mistress Asharu, around her lifeless corpse. They all know that Ripley is the only one that could be responsible. The group begins investigating the surrounding room and the tracks in the dust. Keyelth asks to see Percy’s pistol. He hands it to her absentmindedly. She examines the weapon closely. This was the pistol Ripley created, imitating Percy’s original designs. The party took it from her when they found her in Whitestone and Percy has been using it as his own since the destruction of his pepperbox. Keyleth discovers a faint aura of divination magic around Ripley’s signature, engraved on the pommel. Though she can’t identify the exact nature of the enchantment, it appears Ripley has been spying or tracking them for months. Vax suggest they finish and leave as soon as possible. Percy begins tossing the room one last time before they leave, desperately searching for any more clues. But in his rage he is recklessly and is destroying the room more than actually searching for anything. Vex determines from the tracks in the dust on the ground that there was likely five or six people down here when Mistress Asharu was attacked. 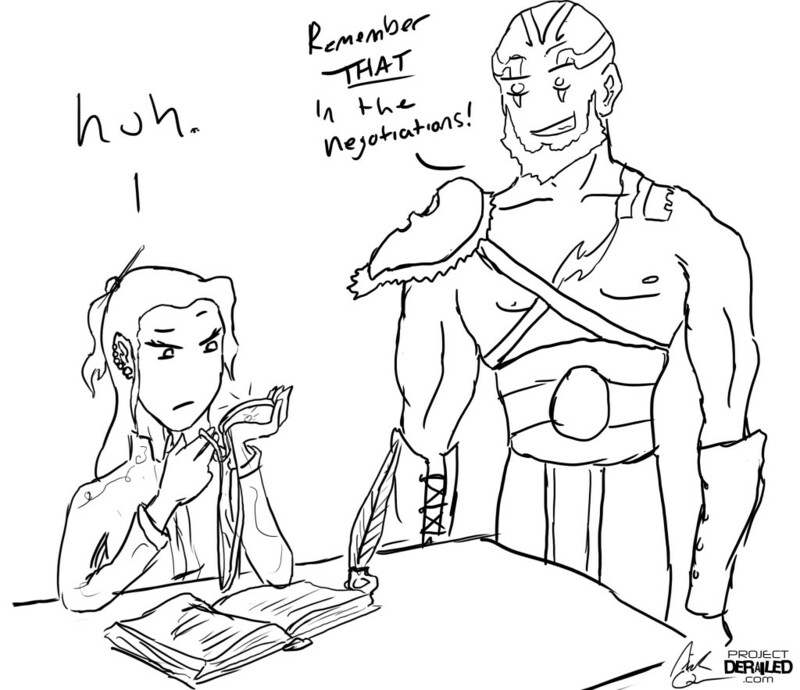 Vex asks Grog for some dust of tracelessness. She sprinkles it throughout the room and all tracks in the dust, including their own, are erased. The eventually leave through the secret tunnel and Vax leads them unseen back up to the city streets. They head back to the Debt’s Respite Inn. On the way, Percy asks if Keyleth can spy on Ripley without her knowing. They begin discussing their plan. The get arrive back at the Debt’s Respite. They leave the pistol under the bed in one of their rooms. Vex has Trinket guard it. Grog takes watch out in the hallway while the others discuss their next move. Percy suggests the tell Treev and the Scar Bearers about Mistress Asharu, least they be implicated. Keyleth scrys on Ripley using her Scrying Eye item. She sees a vast ocean. A ship on rough waters, weathering a raging storm. Ripley is on the deck, wearing Cabal’s Ruin, a newly made pistol on her belt. A crew member shouts “Nothing yet!” The vision fades. She tells the party that Ripley has already left Marquet and seems to be far out to sea. They piece together that she is chasing another vestige, the dagger Whisper, said to lie within a shipwreck near an island of glass. Scanlan knows the island is called Glintshore. The group debates how best to make chase, knowing they have a week’s head start. They decide that might not be a feasible plan. 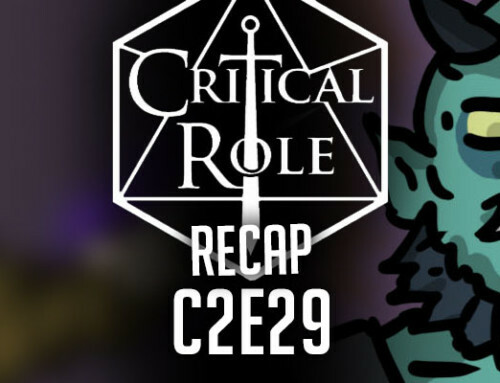 The party discusses if they should just let Ripley be and go after the other vestiges. They realize the only other two they know of reside in the Abyss and the Elemental Plane of Fire respectively. In addition to to the remoteness of these items, Percy points out how dangerous Ripley is and that it is inadvisable to let her go unchecked any longer. Percy also brings up the debate of telling the Scar Bearer’s about the Asharu’s murder or skip town and risk being implicated, seeing as Percy carries the same kind of weapon that killed her. They decide to speak to Treev, the dragonborn inn-keeper and a leader of the Scar Bearer mercenaries. They tell him about Asharu, that she appears to have been killed a week prior. He is instantly suspicious, questioning how they knew where she lived to begin with. The tavern grows silent around them. He sends the cloaked Scar Bearer to investigate and corroborate their story. The group explains that they know who did it and they want to see her dead as much as they do. They say she often disguises her appearance. Treev describes an old woman that matches one of Ripley’s disguises. Says she was the last person to hire Asharu. The cloaked Scar Bearer returns and tells him what he saw. Treev is convinced and says he will let the party go, but requests that they bring him Ripley’s good hand and he will consider justice delivered. They ask Treev if he knows anyone who can remove the spell on Percy’s gun. He says that there are members of the Scar Bearers traned in the arcane but that they work for coin. The party agrees to pay. He sends for a mage and says they will arrive within an hour. They pay with some gems. Percy suggests sending Scanlan and Grog to inquire about chartering an airship in the mean time. The men shout out to stop him but it too late and the lift begins to rise, the two yet-to-be-unloaded barrels topple off and shatter, to the curses of the men below, leaving Grog and Scanlan rising to the top of the skyport alone. The reach the top and see two ships in the dock. One large and regal, similar in style to much of the structures of Ank’harel. Scanlan knows that the skyship technology was first developed here in Marquet and that this likely one of the first built. 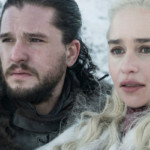 The other ship is smaller of simpler design, similar to the ships the group has seen in Emon and the one the once rode to Vasselhiem months ago. They are directed to an office. They enter to see a younger woman behind a clerk’s counter surrounded by stacks of ledgers. They inquire with her about chartering an air ship. She tells them that the smaller ship is available but they would have to negotiate a chartering deal with the captain. She asks them what is their destination. Scanlan tells her that it is sensitive information. With this suggests in that case she hail the captain and they negotiate the charter her and now. The captain arrives, and Scanlan and Grog recognize him. Captain Damon, who helmed the journey to Vasselhiem. The clerk sits in the back to take notes. Scanlan suggests that they keep things off the books for the time being. She tells the captain to remember that for the negotiations. Damon says that they have been in the city for a few weeks. He asks what they need, where are they going, and for how long. Scanlan says the will want to leave soon, north into the Osmet Sea, to a destination will only be disclosed after they are in the air. “Also remember that, in the negotiations.” Chimes in the clerk from the back. Scanlan tells them that their mission is very important and that they have friends in high place. He reveals the amulet given to them by J’mon Sa Ord. The clerk doesn’t believe them and asks to see the amulet. Her amused smile quickly fades as she examines the item. After making sure that Damon’s crew is proficient and that the ship is well armed, Scanlan and Grog leave to let the party know of their arrangement with the airship. 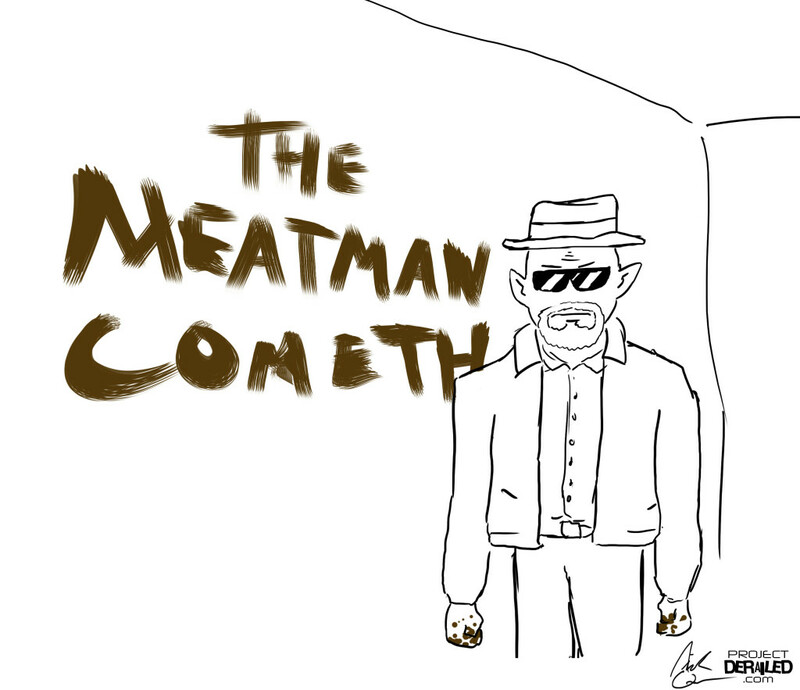 Scanlan enters, using his hat of disguise to appear as a human with dark glasses, goatee, jacket, and pork pie hat. He looks around the game hall for the men that sold him the spice but does not see them. He ventures up to the room they met in and enters to find it empty and seemingly not used since their meeting. He shits on the desk and uses the excrement to leave a message on the wall before leaving. Scanlan heads back down to the game hall. Decides to try to win back some of what he lost in the spice deal and promptly loses 50 more gold to Evandra’s Favor. He exits and returns to Grog, who also has not had any luck spotting the two men. Grog swings and his fist passes through the illusory human head above Scanlan’s real one. The two head in the direction of the Debt’s Respite to regroup with the others. Meanwhile, the twins, Percy, and Keyleth are waiting in the tavern for the mage to arrive. Percy fears that Ripley is mass producing and distributing his weapons and asks that should he die, that the party destroy everything. Percy confesses that he regrets letting Ripley go. That he made the wrong choice in ignoring her to go after the Briarwoods those months ago at Whitestone. Keyleth tells him that he made the right choice, that the Briarwoods would have unleashed far worse evil. Scanlan and Grog return. Scanlan tells the group that Grog got them a free airship. The Scar Bearer mage, a greasy looking human named Kyme, arrives. Percy asks if it is possible to move the enchantment to another object rather than destroying it. He says that would take longer. He examines Percy’s gun. Informs the party that it allows Ripley to listen and it is likely that she now knows everything they are currently discussing. Percy tells him, in that case, to just dispel the enchantment. And with one final word to Ripley, “I won’t be ignoring you any longer,” he spell is gone. Vex has the mage identify her magic tea set. It poisons any liquid placed inside it. The group prepares for their departure. Vex acquires some potions. Percy begins buying the materials to construct a cannon. The party boards the ship and they take off. The group notices some upgrades since their last time aboard. 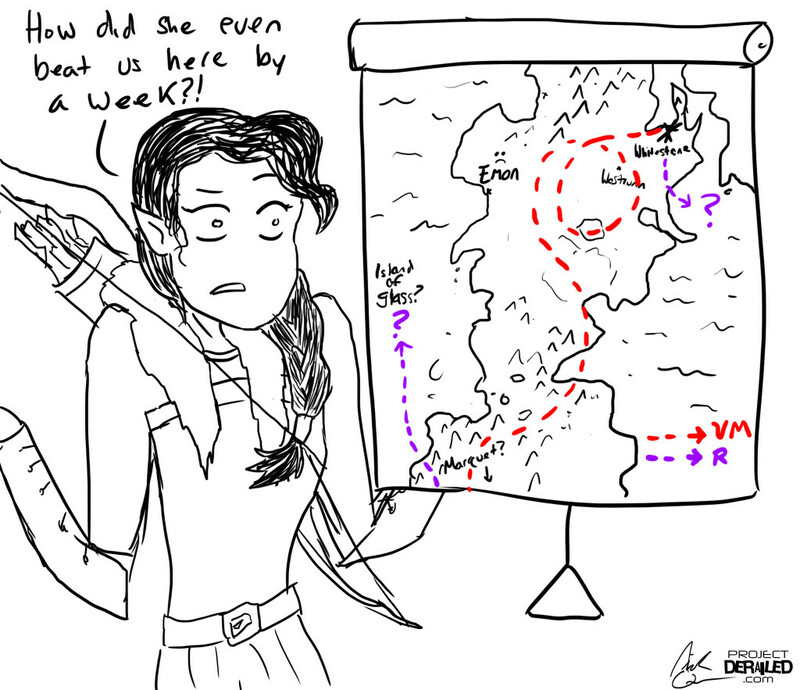 Once they are in the air, Scanlan tells them the’re destination is Glintshore. Damon is apprehensive, as that region is a known pirate haven. He does not want to be there long. 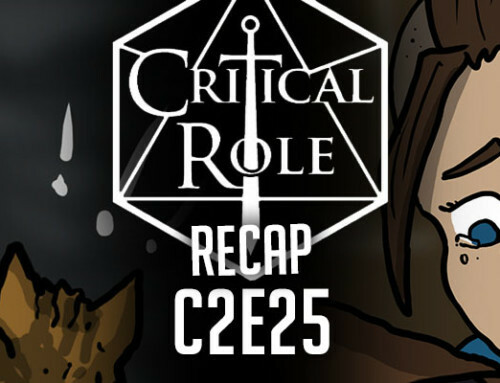 Grog, Vex, Vax, Trinket, and Keyleth decide to camp out on the deck under the stars. Grog drinks some of his Sand’kheg in an attempt to build an immunity to it. One shot gives him a good buzz. The next day Keyleth scrys on Ripley again. She sees the ship anchored somewhere. Ripley and five other individuals take potions and leap into the water. 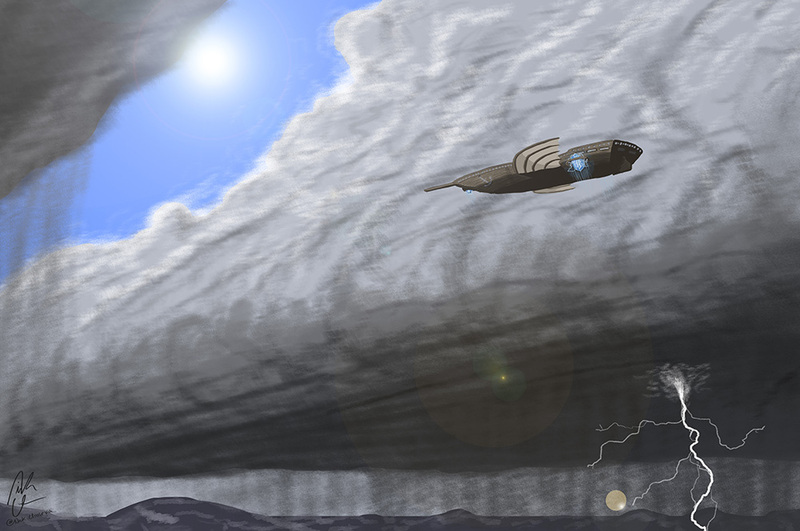 The air ship is making good time, but a massive looming tropical storm ahead of them threatens to slow their progress. Keyleth cast’s control weather from the bow of the ship to carve a five mile wide channel of fair weather through the storm. The ship clears the storm and Keyleth shifts her control weather spell to give the ship a tailwind to give them a boost. They arrive near the archipelago, Damon drops the airship to a lower altitude so they are less likely to be spotted by pirates. The ocean hear is littered with hazards and reefs. They spot the island of Glintshore. Its glass shoreline and petrified forest glistens in the sunlight. A ship is anchored just off the shore. It appears to be the same ship Keyleth saw in her scrying. They also spot a trail of smoke coming from the island, possible from a campsite. Keyleth cast’s water breathing on the whole party. She then attempts to scry on Ripley one last time to get her exact location. A figure on the anchored ship sends up a flair. 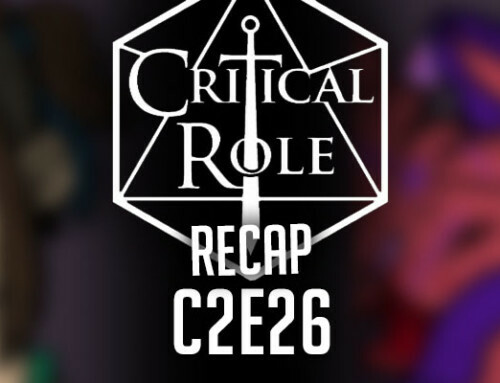 Scanlan polymophs Grog into an eagle and leaps on his back. 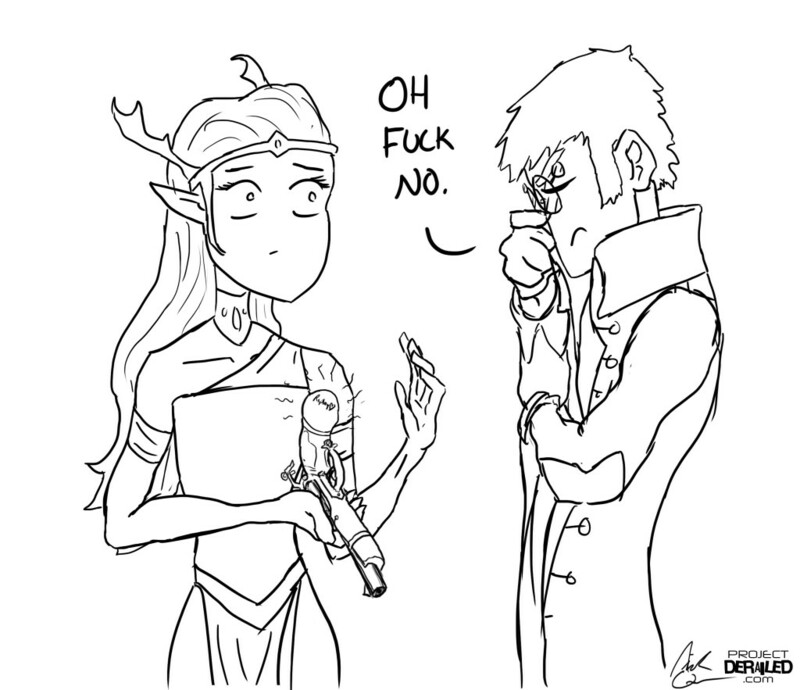 Keyleth’s scry spell fails. Vax picks her up and flys her over the ship with his wings. The figure on the deck casts a spell at them but Percy takes him out with a shot. 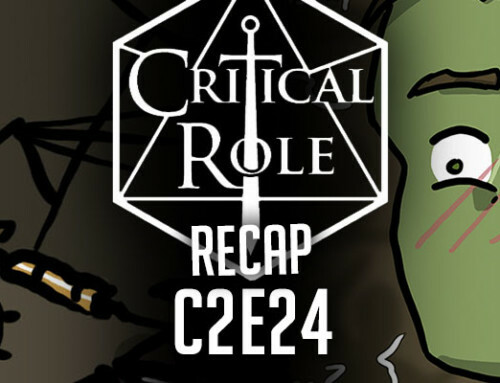 Vax drops Keyleth and she transforms into a earth elemental and crashes into the deck of the ship. She smashes right through several decks of the ship and comes to a stop in the bilges. The remains of some crew member crushed beneath her. She moves and water begins flowing into the bilge from the ruptured haul. Grog and Scanlan approach the island. They spot several boats dragged up on the beach and the remains of a campsite. The ship is now on fire from the airship’s harpoons and rapidly sinking. Earth Keyleth smashes her way through the ship, searching for useful information, and panicking the crew. She grabs some handfuls of some papers and transforms back to normal. She uses control water to propel herself out of the ship through the hole she previously made in the deck and begins surfing to the shore. 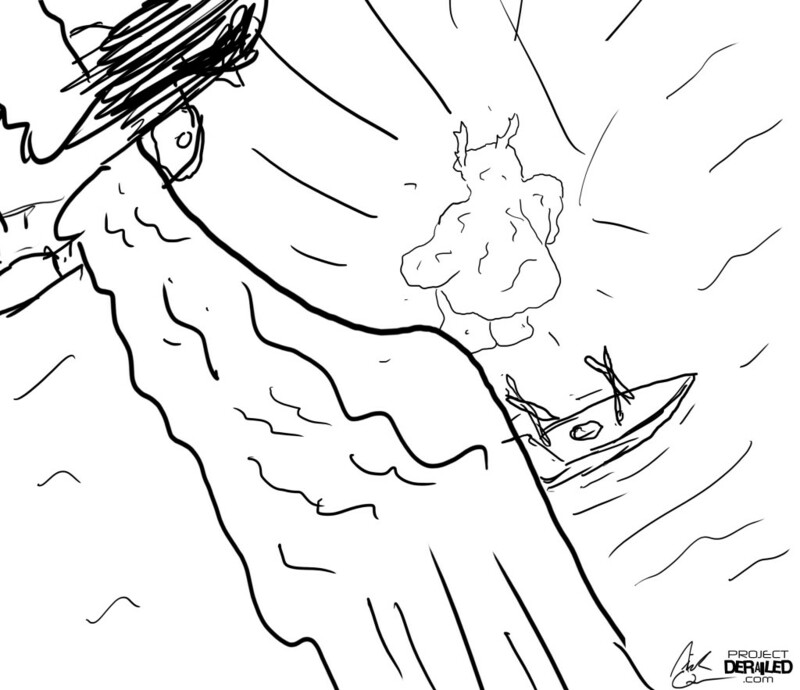 Vax picks up Percy off of the airship and carries him to the shore. The party regroups on the glassy beach as the ship sinks below the waves.